If you wish to delete your browsing history every time you exit your browser, then the following steps will prove to be helpful. 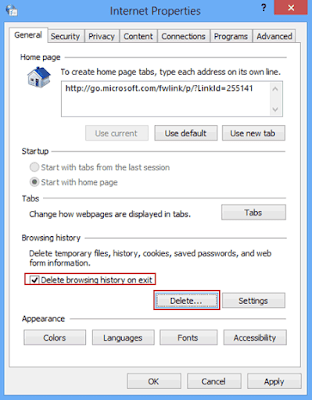 The following guide will show you steps that help you clear Internet browser history on exit. Clearing internet browsing history automatically on exist is possible by following the simple steps in each individual browser settings. Launch Internet Explorer and on the upper right-hand corner click on Tools (Alt + x) then on internet options. In the General tab look for Browsing history. You need to Check on the box that says Delete browsing history on exit. Click Apply and the OK.
Open Microsoft Edge and press the Windows key. Then type Internet Options. In the windows that opens, select General tab in the Internet Properties window. 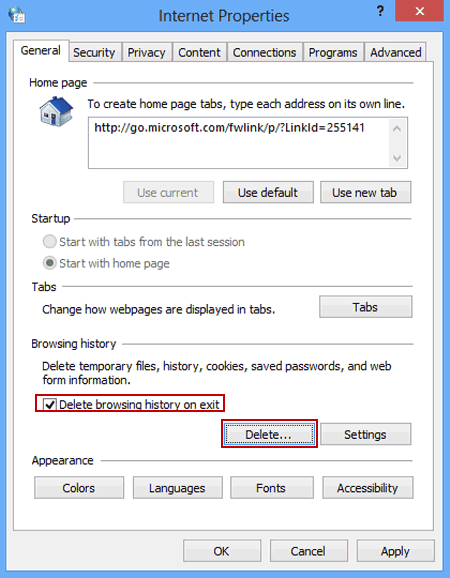 In Browsing history section, check on the box near Delete browsing history on exit. Launch Chrome and select the three vertical dots in the upper right-hand corner. From the drop-down menu go to Settings. Here click on Advanced> Content Settings. Click Cookies and then click on the Toggle that says Keep local data only until you quit your browser. Launch Mozilla Firefox and tap on the menu button on the top right corner of the browser. Tap on More and click on Settings. Select Privacy and put a check next to Always clear when quitting. A pop-up window will appear and you can select the information you wish to delete every time you quit Firefox. Tap on Set and Firefox will automatically delete the information every time you Quit the browser. Safari and Opera Mini browsers do not have the clear browser history automatically option. This is all you need to do to clear the browsing records every time you quit an Internet browser.